First we took away Al-Qaeda’s base in Afghanistan. Then we gave them a new one in Iraq. Strip away the treachery and deceit, murder and mayhem of the last twelve and a half years, and that’s all that remains. In 2001, we went to war to chase Al-Qaeda out of Afghanistan. I was there. I watched the bombs fall, and I saw the bodies. 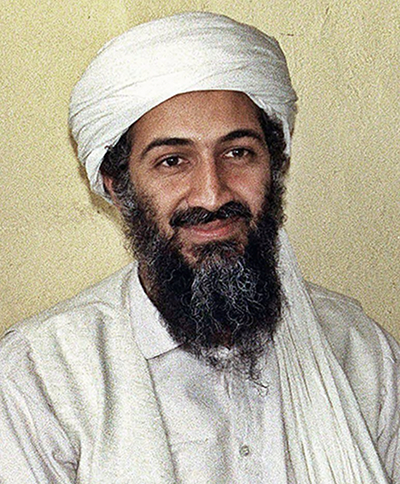 Al-Qaeda were holed up in the poorest country on earth. They practically had to run their global jihad out of a cave. They were out on the fringes, cut off from the world, and volunteers faced a long and dangerous journey to join up. Today, their spiritual successors in ISIS command a great swathe of territory across Iraq and Syria. They control Iraq’s second city, Mosul, and are advancing towards Baghdad. Europe is just a short flight away, and they are a stone’s throw from some of the largest oil reserves in the world. It is as if the 3,444 coalition troops killed in Afghanistan died in vain – to say nothing of the 20,000 Afghan civilians. ISIS are right at the heart of things. And we put them there. Three years after his death, Osama bin Laden’s dream is coming true after all: a great Sunni Muslim uprising in the Middle East. Only ISIS are so violent they make Al-Qaeda look like a bowling team. Bin Laden didn’t make it happen. We did, when we invaded Iraq and caused an entire society to collapse. I was there too, and I watched as Sunni turned against Shia, Muslim against Christian, Arab against Kurd, brother against brother. We turned Iraq into a lawless failed state just as Afghanistan had been – the exact sort of place Al-Qaeda thrives in. We made Iraq a cauldron of blood, and from it ISIS was born. Never mind what Tony Blair says. He betrayed himself when he broke his silence to claim all these things would have happened anyway. It was the voice of a guilty man, struggling to convince himself he was not to blame. Once he could persuade the world, now he can’t even convince himself. Blair always said history will judge him on the invasion of Iraq – but it’s judging him right now, and he knows it. It’s a simple enough story. When the US and Britain invaded Iraq, we gave every angry and disaffected Al-Qaeda sympathiser in the Arab world the chance to go to war. They could just slip across the border and join the jihad. But we did something worse. We started a civil war. Iraq’s Shia majority, long repressed under the Sunni Saddam, saw their chance to seize power. Sunni extremists streamed across the border, desperate to stop them. But we were too busy fighting for our own survival to do anything about it. Like a contagion, it spread. When they saw they were losing in Iraq, the Sunnis turned to Syria, where a Sunni majority was ruled by an Alawite minority. If they couldn’t have Iraq, they’d take Syria. Now, emboldened by their success in eastern Syria, they’ve returned to Iraq, and to unfinished business. ISIS’ wildfire advance across Iraq resembles nothing so much as the Taliban’s conquest of Afghanistan in the nineties. Like the Taliban, they preach an extreme Wahabi form of Sunni Islam, and hand out medieval punishments. Like the Taliban, they are supported by Saudi Arabia. Like the Taliban, they have genocidal designs on the Shia. But unlike in Afghanistan, they do not outnumber the Shia. Which means they are about to run into a wall of Shia opposition. And if the Iraqi civil war of 2006-7 is anything to go by, it will be ferocious. Your first hand experiences there leave without out any doubt it will be more of a mess than it all ready is. I wonder what the answer is, or if there will ever something close to piece there.